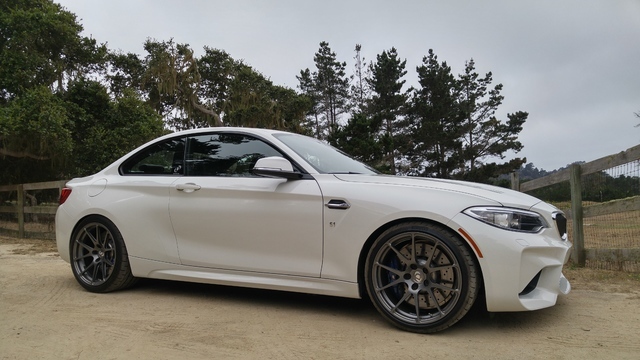 August 2017: The Dinan S2 performance package for the F87 M2 is now available! Please contact us directly for pricing information. We are an authorized distributor of Dinan performance parts and accessories. The S2 Performance Package includes the following parts: Deck Lid Badge, S4 Performance Engine Software, Turbo, Free Flow Exhaust, High Flow Carbon Fiber Intake, Coil-Over Suspension, Pedal Cover Set, Sway Bar Set, Rear Suspension Link Kit, Dual Core Inter-cooler. The detailed specs for the M2 package are listed below. BMW Discount Parts carries a full selection of Genuine OEM BMW parts and Dinan performance parts. All of our parts and accessories are factory direct and include a manufacturer warranty valid at any authorized BMW dealership nationwide. We also carry a full selection of Mini Cooper parts and accessories. Text "BMWPARTS" to 95577 to receive our latest specials and promotions delivered to directly your mobile phone via text message. Thank you to Cell Phone Number List for providing our text-message platform and with our mobile phone number list.